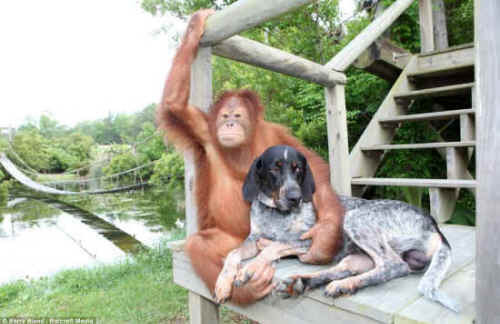 Suryia the orangutan and Roscoe a Blue Tick hound became friends when they crossed paths at a South Carolina preserve for endangered animals. 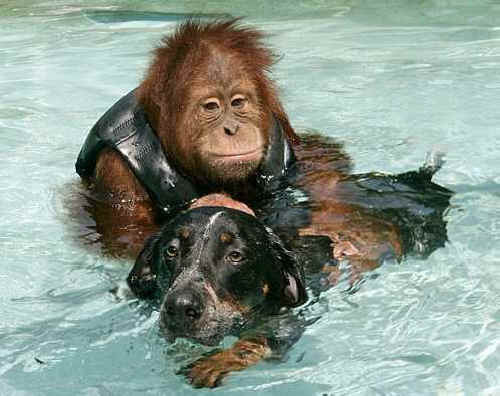 Now they swim together, play together and Suryia even takes the dog for his walks. 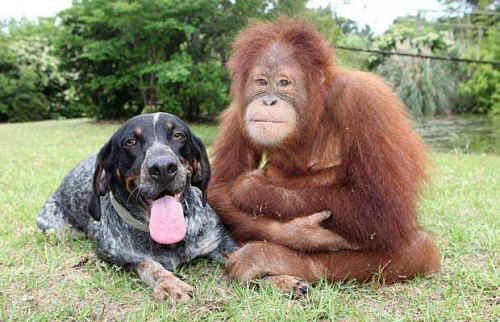 The pair first encountered each other two years ago when Roscoe followed staff from The Institute of Greatly Endangered and Rare Species (TIGERS) in Myrtle Beach home. 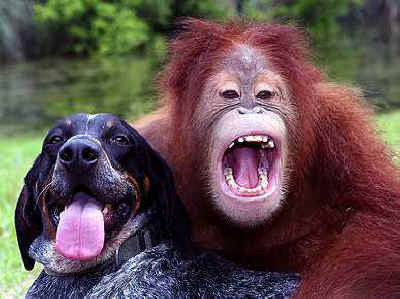 He was immediately spotted by the orangutan who ambled over to make friends. Suryia is an animal ambassador at the preserve helping to raise baby primates but likes nothing better than spending quality time with his canine friend on his day off.